del cor, que no es cuidava haver paranys. un ornament de la melancolia. que l’obra d’uns quants anys se’n va en un dia? of the heart, that was carelessly trapped. that all we have built over the years is over in a day? 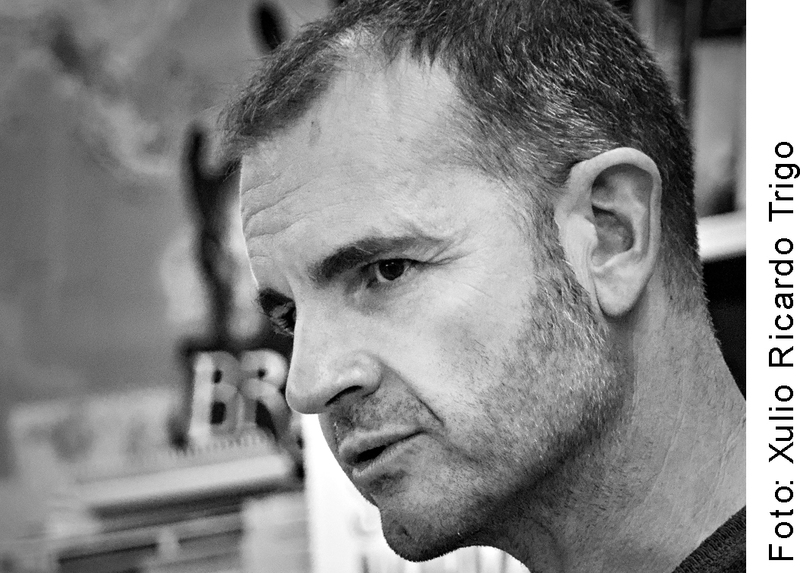 Jordi Llavina i Murgadas (Gelida, Alt Penedès, 19 March 1968) is a writer, poet, literary critic, and radio and television programme host. He writes columns for the newspapers Avui, El Mundo, La Vanguardia and the weekly El 3 de vuit as well as hosting the television programme “El book insignia”. In radio, he hosted the programme “Fum d’estampa” of the no longer existing station Catalunya Cultura. As a mature writer, he began to work with different genres, including poetry and fiction. In the former case, he received the City of Mallorca Award for his collection La Corda del gronxador (The Rope of the Swing) and, in 2007, the Alfons el Magnànim Prize for Catalan Language Poetry for his work Diari d’un setembrista (Diary of a Septembrist), for which he was also awarded the 2008 Serra d’Or Critics Prize for Poetry. He has also received the Vicent Andrés Estellés Poetry Prize (Nightfall, 2011) in the October Awards, and the Critics Prize for Catalan Poetry for the collection Vetlla (Night Hours, 2013). For his latest book, the poem Ermita, he was awarded Lletra d'or for the most important book of the year 2018. In June 2013 he took part in the Third Book Club Encounter of the Alt Penedès and El Garraf libraries. The readers of all these clubs have read his works Ningú ha escombrat les fulles (No One Swept up the Leaves), Londres nevat (Snowy London), and El llaütista i la captaire (The Lute Player and the Beggar). In 2014, Jordi Llavina was the curator of L’Any Vinyoli (Vinyoli Year) celebrating the hundredth anniversary of the birth of the famous Catalan poet.